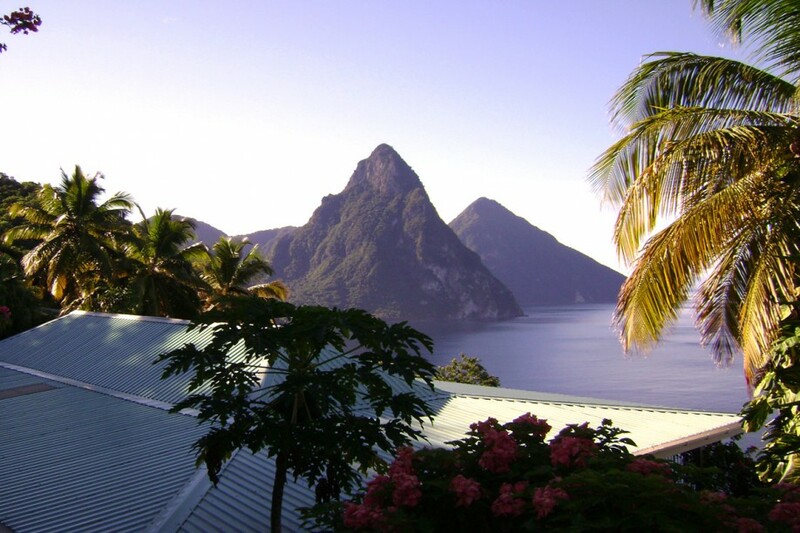 Luxury 2 Bedroom Villa St Lucia – This lovely traditional home with enviable views of the famous Piton Peaks is located off the Anse Chastanet road in Soufriere. It was sympathetically updated to maintain it’s original charm. 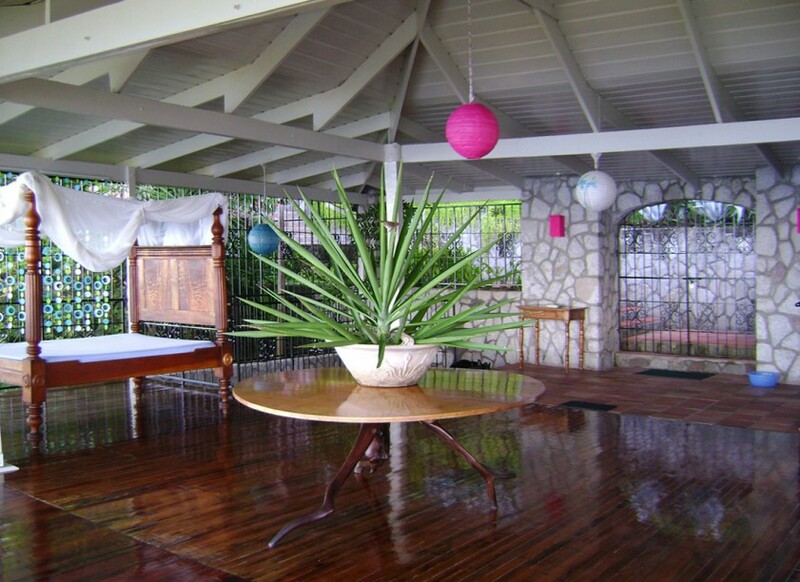 Arranged over two levels the spacious accommodation is linked by polished greenheart floors and has generous open plan living and dining area under a covered patio with fantastic southwesterly views to the peaks, the Caribbean Sea and even St. Vincent on clear days! Perfect for lounging, relaxing, challenging your fellow guests to a game of chess or enjoying a sundowner after another perfect day! 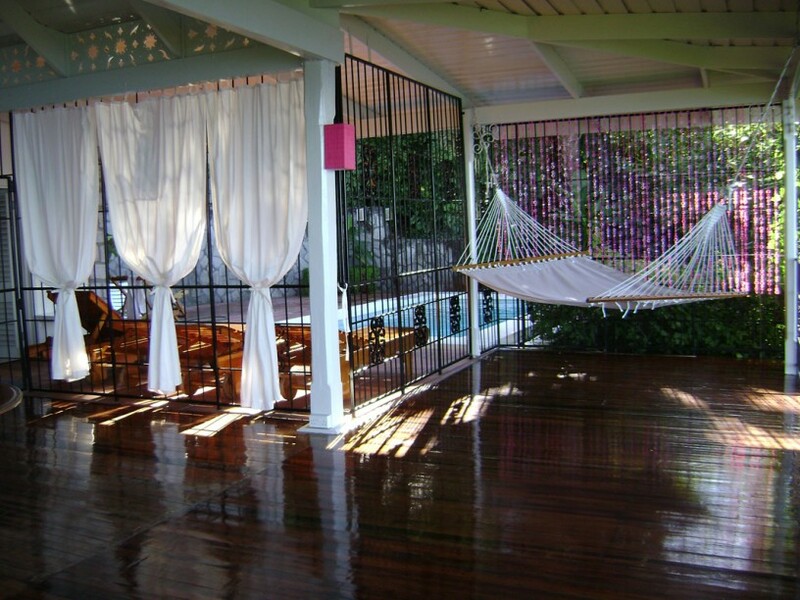 The pool is 18ftx10ft and has a clay tiled terrace to the side for the cushioned pool loungers. It is always possible to sit in the shade if you prefer. 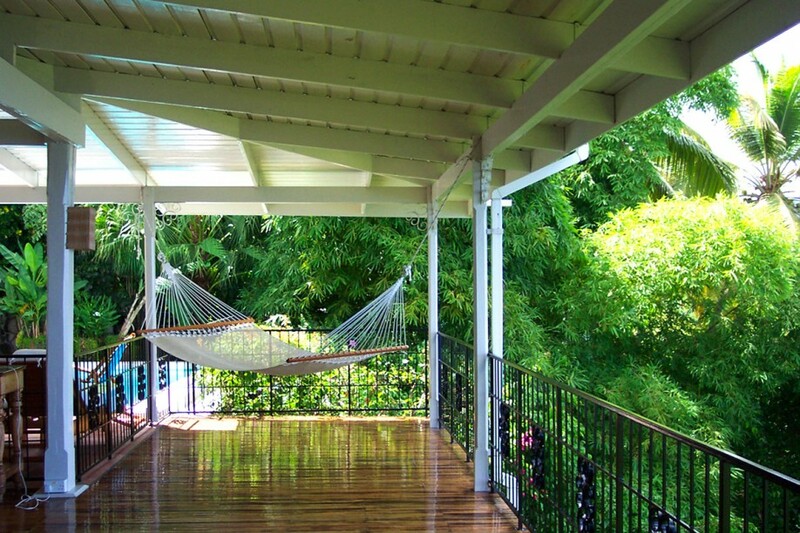 There is a four poster day bed for reading and napping upstairs and a bathroom by the pool. 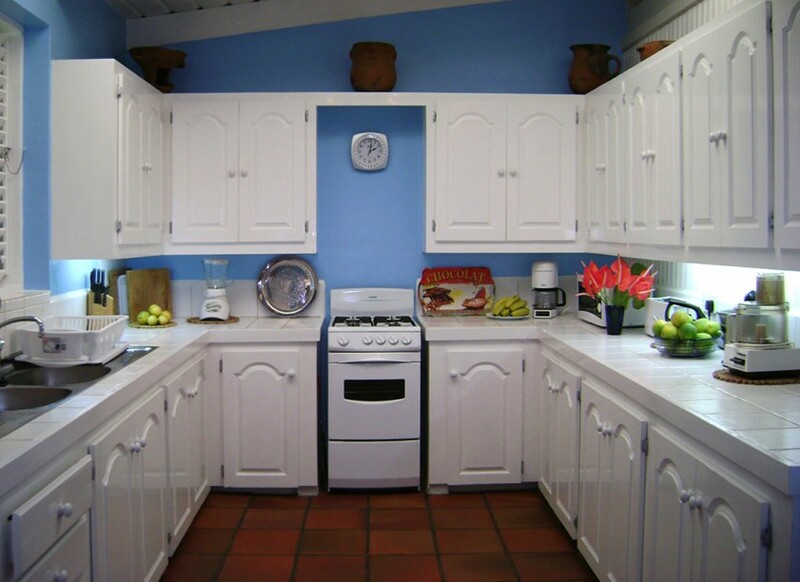 The kitchen is well equipped with a large fridge, gas stove, toaster, china, glassware etc for eight. 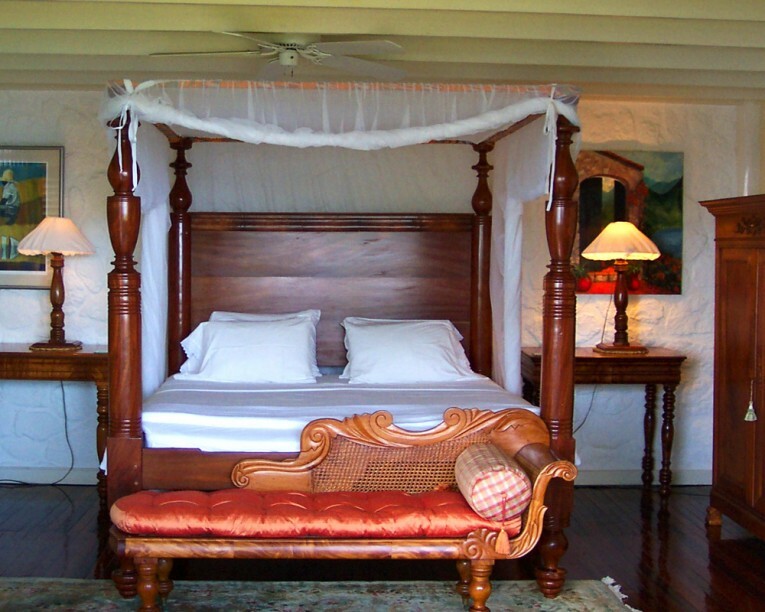 Two large bedrooms offer large antique West Indian four poster beds along with antique tables and armoires. 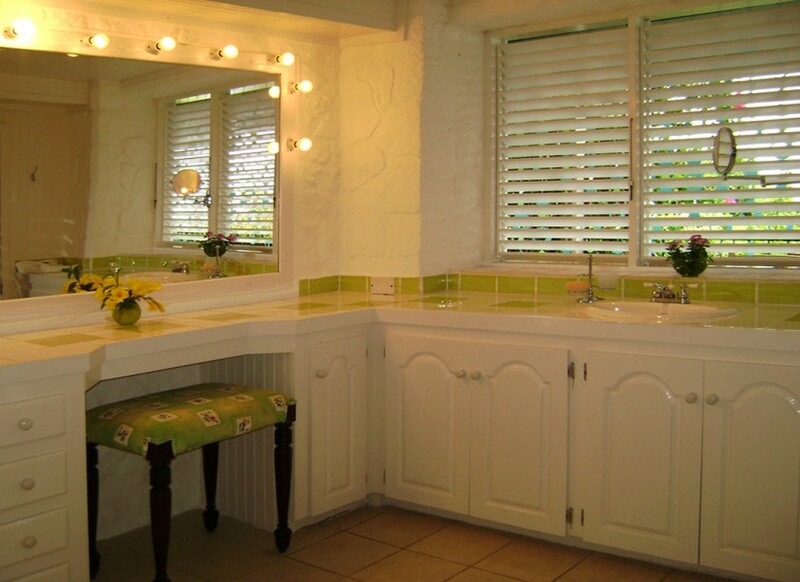 The bathrooms feature Italian tiles and the walls and ceilings have been painted a blend of soft greys, off whites and whites. Both bedrooms have ceiling fans and the windows and doors have moveable wooden louvres. 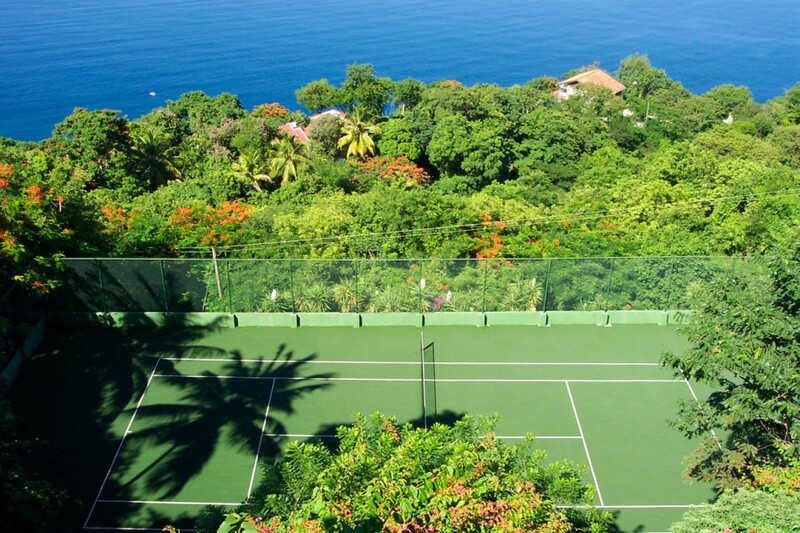 Anse Chastanet beach is a five minute drive and has superb diving facilities. The snorkeling just off the beach is a protected marine park. 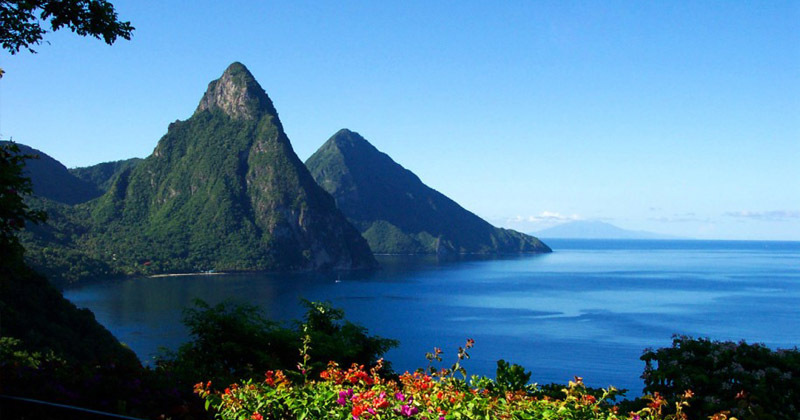 The Soufriere area of St. Lucia is generally considered the most beautiful part of the island with its Sulphur Springs, Botanical Gardens and Mineral Baths, rain forest and unspoiled coastline. 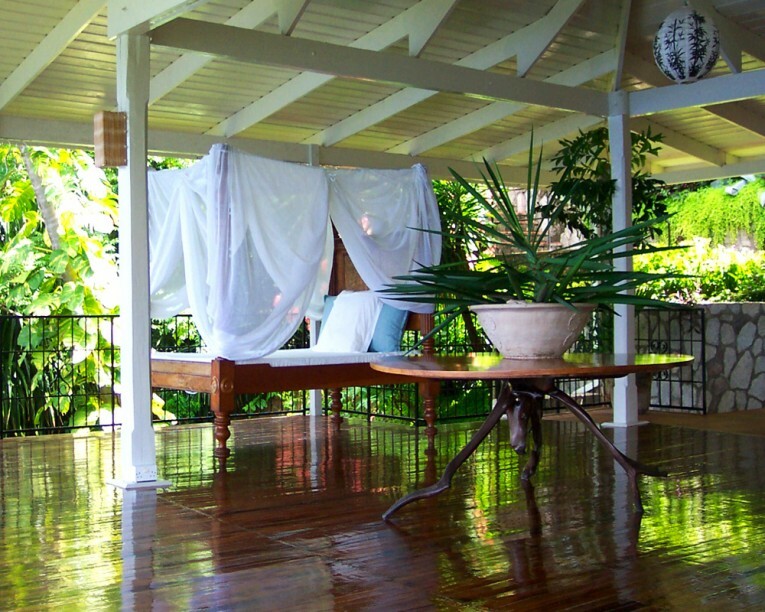 This villa is perfect for people who appreciate natural beauty and lovely surroundings. 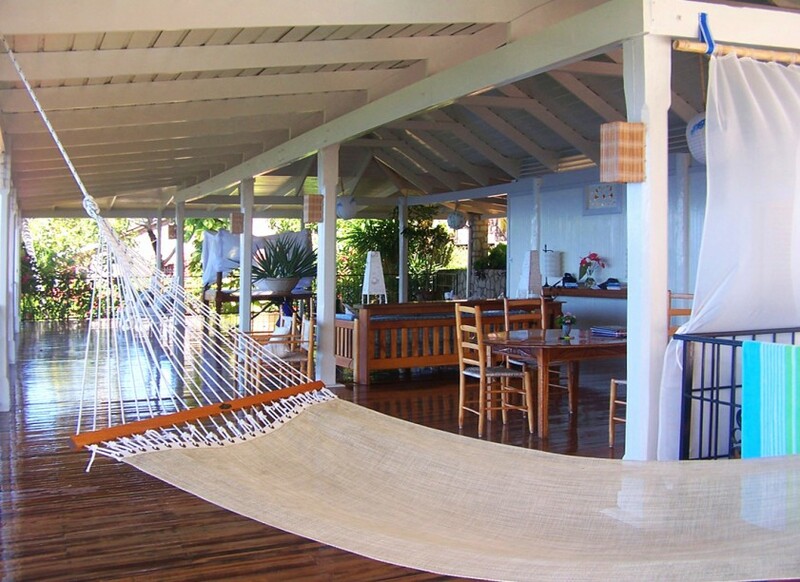 Staff are not optional and will attend at least every other day to clean the villa. Due to the condition of access road – jeep rental is essential.